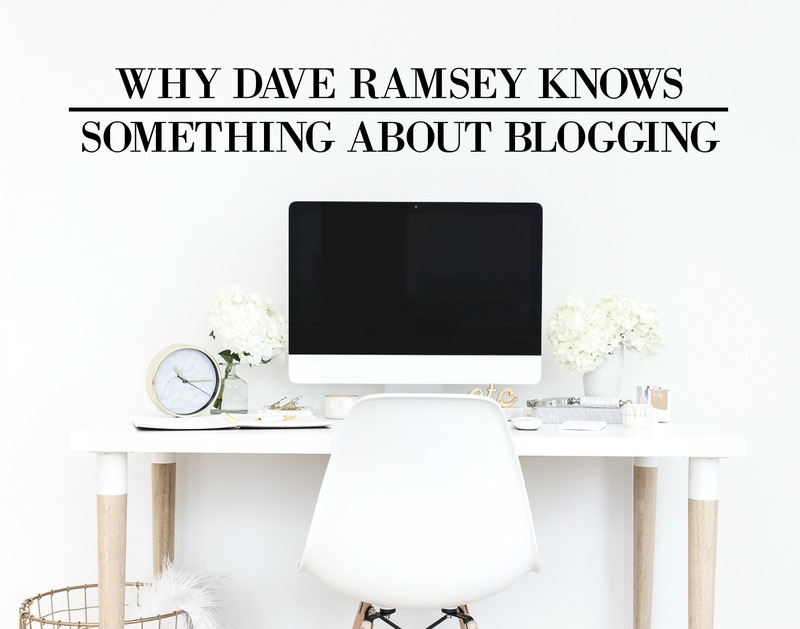 Random question: Have you ever heard of Dave Ramsey? If you haven’t, he’s basically THE financial expert of financial experts. So what does he have to do with blogging? Going into debt for college. Going into credit card debt. Going into debt for car payments and house payments, etc. They’re the people who overspend and don’t think about where their money is going. They go along with what everyone else is doing, like signing up for college loans or getting a big car payment. And when everyone is doing it, it’s normal. But for Dave Ramsey, weird is, “Living like no one else, so you can live and give like no one else.” The basic idea is that if you save and get out of debt and follow his steps, later on, you can live a life all your “normal” friends can’t. Sounds pretty good right? DISCLAIMER: By also living this “weird” kind of life, your “normal” friends and family aren’t going to understand it and sometimes make fun of you. For me, being normal is going to college, getting a 9-5 job, watching Netflix or scrolling through Facebook in the evening, and not being able to live the kind of life you want. – It’s getting out of bed when your boss wants you to. – It’s working a certain amount of hours that’s scheduled by your boss. – It’s getting off work when your boss wants you too. So how about being your own boss? Now that’s weird. Being weird for me is finding a way to work for yourself, and in this case, blogging. – It’s getting up when you want to. – Working a certain amount of hours… determined by you. – Getting to spend AS MUCH time as you want with loved ones. – It’s getting to travel when you want. – It’s getting to make the amount of money you want to make in a year. Being weird doesn’t sound so bad huh? You want more for yourself than what expectations society has laid before you. And my husband and I were the same way a couple years ago. We had made an agreement that since he was the one with the college degree, he’d go out and work a corporate job while I tried to build a blog and make money from home. Then, he could quit his job and we could travel the world. And it wasn’t easy! He was working a soul-sucking corporate job that wasn’t paying enough while our car broke down multiple times in the winter. We were living pretty close to the edge and we needed the extra income I could bring in with a job outside the home. But we stuck with it because we didn’t want to just get by and be normal. And I get it, it’s intimidating… but what if? What if you do make it? What if you’re able to quit your job? What if you’re able to live how you want? It’s better to try and know then to have never tried and never know. And of course, you always hear me say, “In a year from now, you’ll wish you started today.” I know it can be hard, especially when you work a job, or you have kids, or you’re going through difficult life circumstances. But you have to try! I’ve known a blogger who was going through a divorce and had 3 kids who started making 10K a month from her blog. And I’ve known those who worked full-time, but were still able to find time for their blog and then quit that job. You have to determine that you’re going to be weird. You’re going to cut out (or at least allow yourself a certain amount of time) Facebook and Netflix. You’re going to have to research and create content. You’re going to have to figure out what you want to blog about. But guess what? It’s going to be worth it. So where do you want to be in a year from now? Do you want to be what Dave Ramsey calls “normal” and still be working a draining job, coming home exhausted just to zone out on Netflix? Or do you want to be “weird” and be at home with your kids or traveling while working on your blog? PS – Here’s what we’ve been up to and where we’ve been the last couple years we’ve been blogging. I’m definitely weird! I’m working on things that the average person I know isn’t into. Best wishes and continued success!